Jürgen Zapf is a Managing Director with Alvarez and Marsal GmbH Wirtschaftsprüfungsgesellschaft. 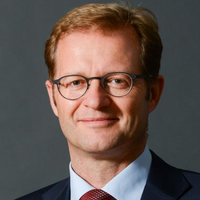 He is co-leading the German A&M practice and heads the firm’s German Transaction Advisory Group. Mr. Zapf specializes in providing financial and related due diligence advisory services to private equity houses, debt providers and large corporates, advising throughout the whole transaction lifecycle.